Contact us at (412) 276-9247 to learn more about our dog grooming services. Add De-Shed Services To Your Day At The Spa. Prices may vary. Add Day Care Services To Your Day At The Spa at this special price. 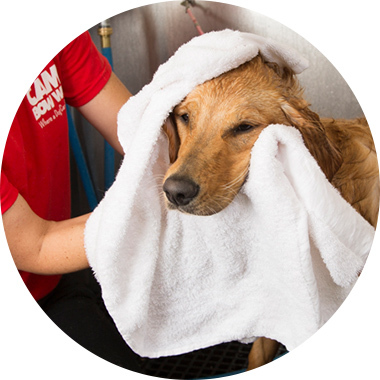 Our professional groomers will pamper your pup with: massage bath, hand blow dry and brush out, blueberry facial, ear cleaning, dremel nail trim, tooth brushing.